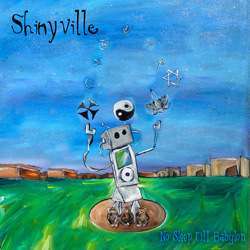 Though the diverse list of influences for Shinyville, an Omaha three-piece, may sound curious at first, the heart of their captivating blend of dance, prog rock, funk and film noir is rooted in memorable melodies and simple straightforward entertainment. It’s with that penchant for amusement that Shinyville’s music glides in and out of an assortment of genres while remaining catchy and infectious. The band covers a lot of lyrical territory too, balancing character sketches, relationship narratives, and social commentary with humor and humility. The music offers acrobatic vocals, guitars that sound like keyboards, wild animals, robots, amazing drum n' bass grooves and an ever-expanding array of sonic antics. 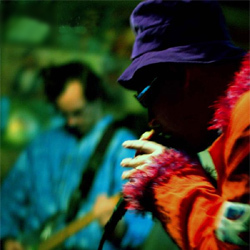 Influences: Beck, Prince, Mr. Bungle, Bjork, Nick Cave, Tom Waits, Violent Femmes and John Zorn.